I generally keep pretty busy with projects for myself and projects for other people. This week is no exception. I wanted to show you some of the things I am working on this week. Two are for me and the other two are for people that are not me. 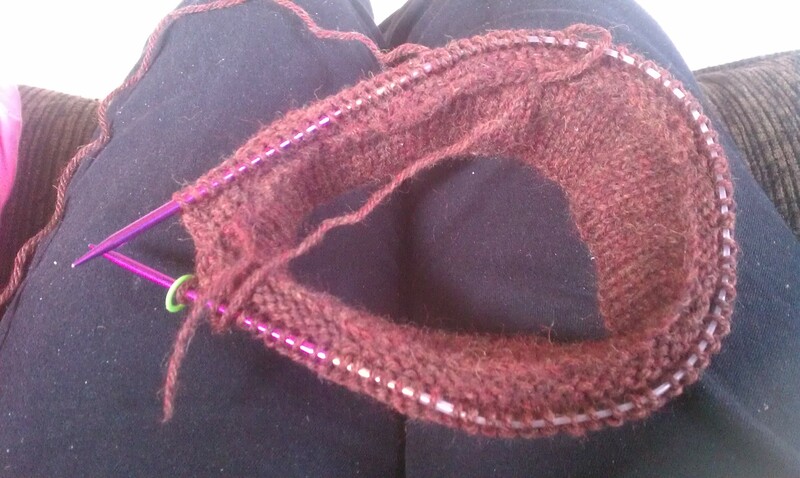 The first is a seed stitch wrap that has been a work in progress project since early August. The pattern is the Amazing Seed Stitch Wrap from The Purl Bee, by Purl Soho. It is a pretty simple project and I modified the pattern a little bit to fit my needs. I am also not using the yarn that is recommended to buy with the project. The yarn I am using along with it is a Swish sampler set from Knitpicks that was available last summer. It is quite lovely in all of its shades of green. I am working on this until I can get double pointed needles for the Wurm hat, although I think I may be able to knit the hat on the interchangeable circular needle set. I am just picky I suppose. The second project I have been working on (I do not have pictures of the other two, so I will not be talking about them just yet) is Wurm. The hat itself just looks so comfy and cozy. I absolutely could not wait to cast it on, so I started working on it even though I have a gazillion other projects that need to be completed first. It is a piece of work I tell you. It is the first knitted hat I have ever made and I have never made a hem before either, so it is throwing me for a bit of a loop right now. Thankfully, I am past the brim of the hat and that god-forsaken hem. Hopefully I will have it done by Friday and have a cute hat to wear when I usher for “Elephant’s Graveyard” at Illinois Central College. This is the last weekend to go see it, so make sure you have your tickets if you have not already done so. That concludes this post and I will see you all again on Saturday. This time, I will be talking about self love and taking care of oneself. See you all later! 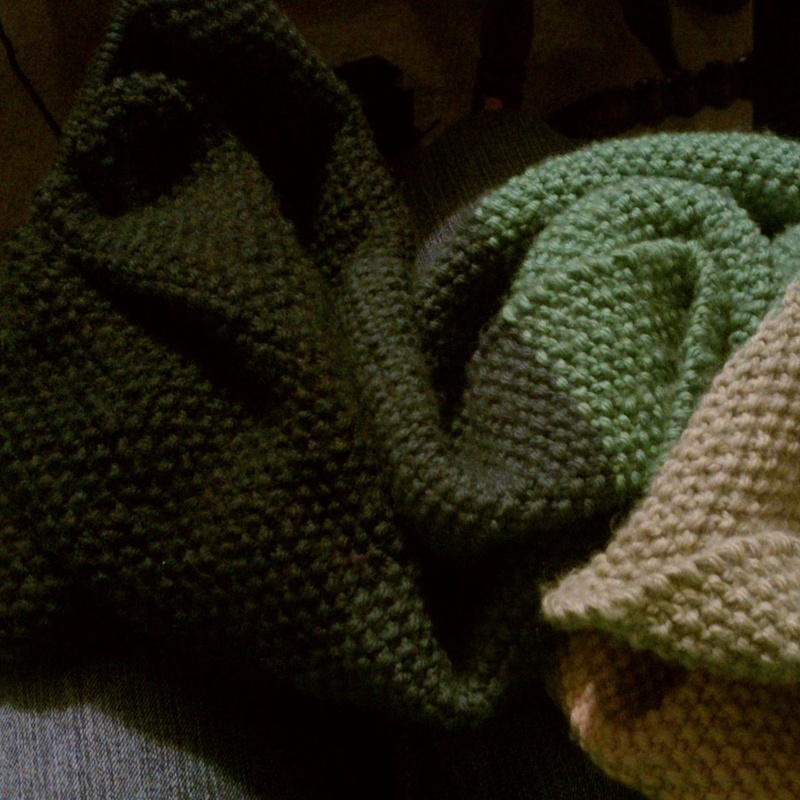 I really like the Seed Stitch Wrap, but then again I just really like Seed Stitch. I just love the bumpy structure of it. And the Wurm hat looks really cool. I hope you get it done in time! Thank you for stopping in and saying,”Hi!”. I appreciate it very much. I hope I can get the hat done too. Just a few more rows and it will be complete.